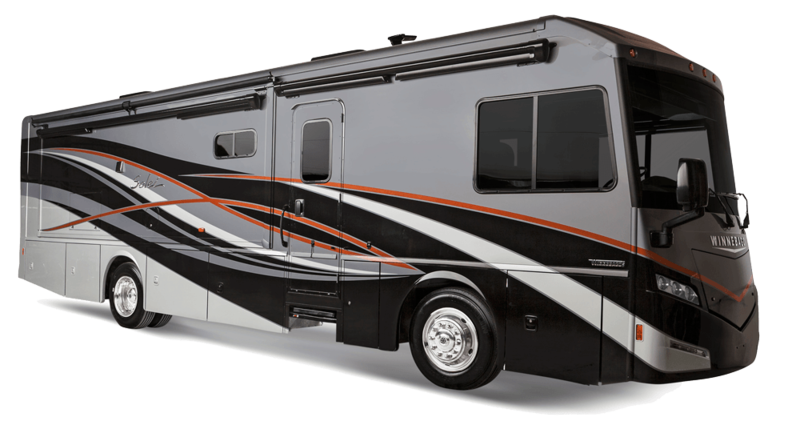 Solei from Winnebago gives you the performance and power of a diesel-pusher with the motorhome lifestyle you love. Three intuitive floor plans are designed with driver convenience and passenger comfort in mind. All Solei floor plans have space-saving design features like the Benchmark Dinette and a convertible sofa bed. Enjoy state-of-the-art entertainment systems, optional fireplace, and Versa cab seats all at an affordable diesel price.